In this week's episode, my wife and I tackle the second round of the Kanye Madness Bracket, a tournament pitting Kanye's best songs against each other. The bracket is getting a lot harder! Check out the episode on Apple Podcasts or Pippa. Also, the podcast is now available on Spotify! You can check that out here! I'm in Chris Brown's bodyyyyyy! 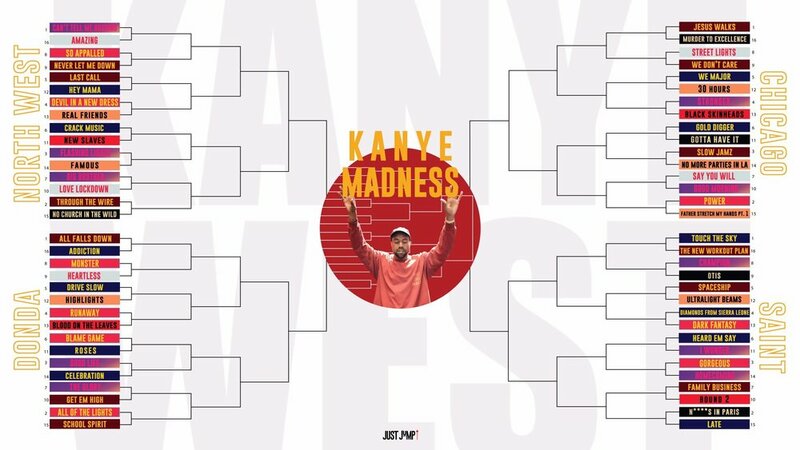 In this week's episode, I tackle the first round of the Kanye Madness Bracket, a tournament pitting Kanye's best songs against each other. Check out the episode on Apple Podcasts or Pippa. On The Run Tour II !!! No new episode this week, but the news keeps coming. Check it out below! In this week's episode, I shine the artist spotlight on The Little Homies. Check out the podcast on Apple Podcasts or Pippa. How did The Little Homies get these shots?! Happy Valentine's Day! In this week's episode, I discuss the good and the bad of Migos' latest album, Culture II. I also take a slightly deep dive into Black Panther: The Album by Kendrick Lamar & TDE. Check out the podcast on Apple Podcasts or Pippa. Dave Free channels Africa for "All the Stars"
Do you like Brazilian music? Award season rolls on as I discuss the disappointing 60th Annual GRAMMY awards! Check out the podcast on Apple Podcasts or Pippa. "Big Bad Wolf" and "Bloody Mary"
Meek Mill x Joyner Lucas x Timbaland! It's award season! The TOTB Hip-Hop and R&B Awards return in its second edition with an all new format. See who walks away with awards, voted by the new TOTB Academy! Check out the podcast on Apple Podcasts or Pippa. Sing your heart out, Action! Thank you to the academy! See you next week! It's 2018! And in the first episode of the year, I discuss the most anticipated albums of 2018. Come find out which albums are going to monopolize your time this year! Check out the podcast on Apple Podcasts or Soundcloud. New Kendrick and Vince in this trailer! This list will be updated throughout the year and you can find that here. 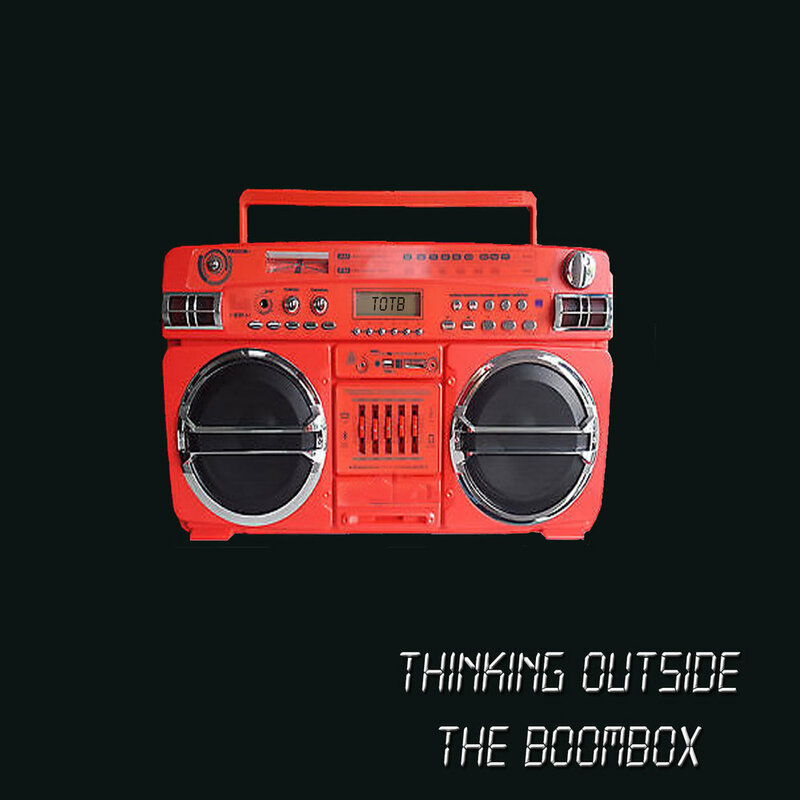 It has been a great year for Thinking Outside the Boombox! In 2017, I gave out awards in the inaugural TOTB Hip-Hop and R&B award show, I dug into three of 50 Cent's historic beefs, Gerald and Brandon were featured as new guests of the podcast, we discussed Chance The Rapper's independence, Lupe Fiasco's lyricism and so much more. I can't wait to see where 2018 takes us! In the final episode of the year, I discuss the "Top 20 Albums of 2017." Check out the list below and check out the podcast on Apple Podcasts or Soundcloud. Like my "Top 40" list, this list attempts to represent my favorite albums of 2017*. But, I do try to rank the albums on this list based on my enjoyment of them, their popularity, and especially their merit. Back in July, when we did the "Mid-Year Review" episode, I said that Kendrick and Jay-Z would be standing tall as the top two hip-hop albums of the year. Well, as you can see below, things changed very quickly. Last year saw releases from Chance, Beyoncé, Rihanna, Drake, J. Cole, TWO releases from Frank Ocean, Kanye West, and much more. 2017 did the impossible, in my opinion, and stood toe-to-toe with 2016, delivering music that was just as incredible. Let's see if 2018 can keep the streak going. 4eva Is a Mighty Long Time, Big K.R.I.T. *The eligibility period for the list this year ended on November 30th, 2017. It's that time of the year! In this week's episode I discuss the "Top 40 Songs of 2017." Check out the list below and download the Spotify and Apple Music playlists of the list as well. Check out the podcast on Apple Podcasts or Soundcloud. SZA delivers a phenomenal performance of "Supermodel"
SZA debuts on SNL with "Love Galore" & "The Weekend"
Migos hire Everyday Struggle lookalikes for their "Ice Tray" music video. The beef continues. This is one of my favorite parts of the year as I get to look back at all the music we've received and pick my favorites. While the American Top 40 and the Billboard Hot 100 charts list the most popular and commercially successful songs in the country, my list is much more of a journey. Focusing solely on hip-hop and R&B, this list captures my favorite songs from those released in 2017. I think this was the easiest time I had choosing the top 5 as this year's choices dominated the charts and our hearts. So without further ado, enjoy my Top 40. In this week's episode, I dive into the theories surrounding Chance The Rapper and whether or not he is actually an independent artist. Let's jump into the politics of the music industry! Tune into the episode on Apple Podcasts or Soundcloud! Oh, you thought Tory Lanez couldn't spit? Kehlani kept it simple and SLAYED! In this week's episode, I discuss the nominations for the 60th Annual GRAMMY Awards and deliver my predictions for the Big 4, R&B, and Rap categories. Tune into the episode on Apple Podcasts or Soundcloud! My predictions are denoted in bold. In this week's episode, my homies Joe and Gerald join the podcast to discuss Lupe Fiasco and whether he truly is one of the greatest lyricists of all time. You don't want to miss this! Check it out on Apple Podcasts or Soundcloud. GET. YOUR. dvsn. TICKETS. NOW. In this week's episode, I discuss the 15 albums/projects that were released this October that YOU should care about. Check it out on Apple Podcasts or Soundcloud. 2 Chainz has been rocking that pink wheelchair! In this week's episode, I recap the 2017 BET Hip-Hop Awards and deliver a bevy of artist recommendations! Check it out on Apple Podcasts or Soundcloud. Kehlani, we need more of this! In this week's episode, Joe G. joins me in the studio to deliver the final installment in the three-part series focusing on 50 Cent's most prolific rap beefs. This episode features 50 Cent vs. The Game. Check it out on Apple Podcasts or Soundcloud. Tyler, the Great Performer, amirite?? Jorja on my mind...get it? Young Thug is weird...but it works! In this week's episode, I deliver Part Two in the three-part series focusing on three of 50 Cent's most notorious rap beefs. This episode features 50 Cent vs. Ja Rule. Check it out on Apple Podcasts or Soundcloud. Craig David covers "Wild Thoughts"
Best non-50 Cent song on Blood in My Eye, easily! In this week's episode, I begin a three-part series focusing on three of 50 Cent's most notorious rap beefs. That's right, "Where's The Beef?" is back! This episode features 50 Cent vs. Rick Ross. Check it out on Apple Podcasts or Soundcloud. Joe G is live in the studio to discuss this week's topic: Who Bodied Who? Tune in as we discussed who had the best verses in some of hip-hop's best collaborations. Check it out on Apple Podcasts or Soundcloud. Big Boi is going on tour! Syd is releasing two projects in one year! Click here for the playlist of songs discussed in this week's Dig Deeper segment! Also definitely listen to Cadillactica by Big. K.R.I.T. This week's Dig Deeper segment is an encore of "Track #32- Spotlight: Vic Mensa." Check it out on Apple Podcasts or Soundcloud.